The Osgood File. I’m Charles Osgood. I know you’ve already got a lot to worry about as it is, but something rather odd is going on — on the Sun. The Sun normally undergoes an 11-year cycle of activity — and last year, it was supposed to have heated up — and, at its peak, would have a tumultuous boiling atmosphere, spitting out flares and huge chunks of super-hot gas. Instead, it hit a 50-year low in solar wind pressure, a 55-year low in radio emissions, and a 100-year low in sunspot activity. Right now, the sun is the dimmest it’s been in nearly a century. Did you know that? It’s true. Astronomers are baffled by it, but has the press covered the story? Hardly at all. Is the government doing anything about it? No, it’s not even in the Obama budget or any Congressional earmarks. At an upcoming meeting of astronomers in the United Kingdom, they’ll be studying new pictures of the Sun taken from space, looking for any hint that the Sun will start heating up again and acting up again, the way it’s supposed to. But there is no sign of that, so far. In the mid-17th Century, there was a quiet spell on the Sun — known as the Maunder Minimum — which lasted 70 years, and led to a mini-Ice Age here on Earth. Right now, global warming is a given to so many, it raises the question: Could another minimum activity period on the Sun counteract, in any way, the effects of global warming? Hush, child! You’re not even supposed to suggest that. The only thing that can change global warming is if we human beings — we Americans, especially — completely change our ways and our way of life. The Osgood File. Transcripts, podcasts, and Mp3’s of all these programs can be found at theosgoodfile.com. 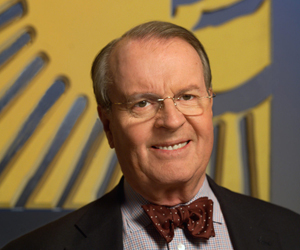 I’m Charles Osgood on the CBS Radio Network.